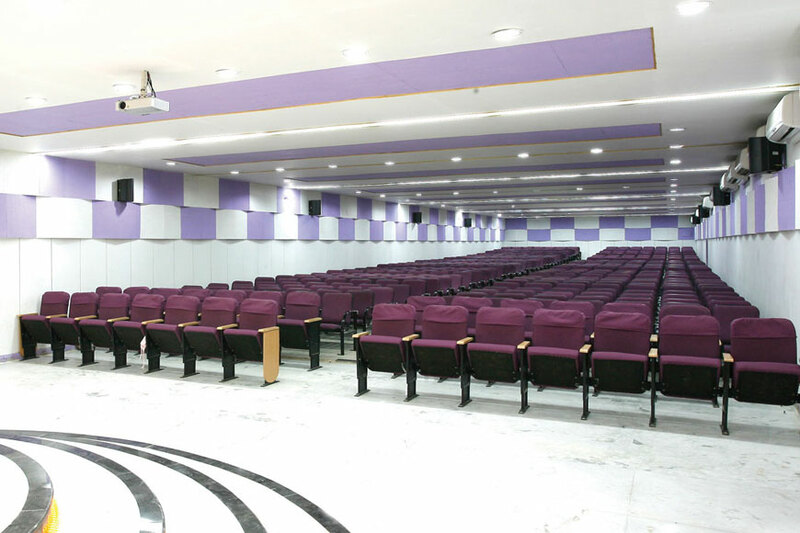 A well-lit and built “Late Col. Dr. Jeppiaar Auditorium” auditorium having a seating capacity of 3,500 in 24000 sq.ft area has been dedicated to the students by our Hon’ble Chairman in June 2009. This centralized Air-conditioned hall has well balanced acoustic engineered designs using sophisticated sound equipment. A fully air conditioned and 540 seat Mini Auditorium of 4200 sq.ft is ideal for a seminar or conference or Video Conference. A fully air conditioned and 270 seat Mini Auditorium of 3200 sq.ft is ideal for a seminar or conference or Audio- Visual facility.